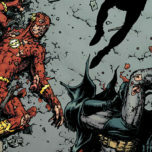 After discovering that the terrifying new villain in town is actually his best friend August, Barry needs to take time to put himself back together before facing Godspeed again. 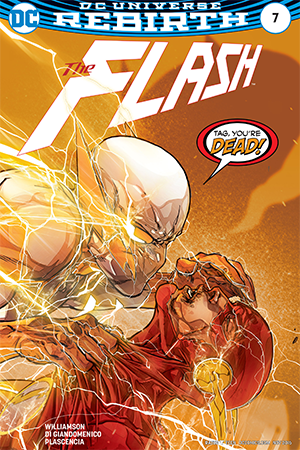 Much like Barry himself needs to recuperate, this issue of The Flash is more about setting up the pieces for the battle between good and evil. 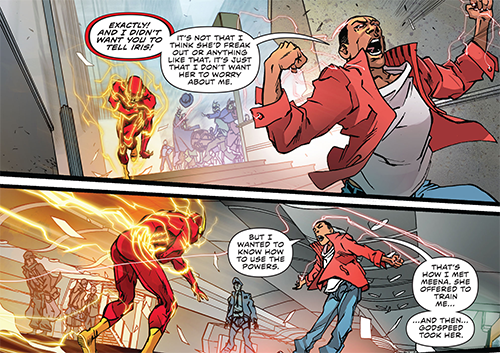 We’ve known from the start that Wally West has to be Barry Allen’s partner in speed, and this week he finally gets there. 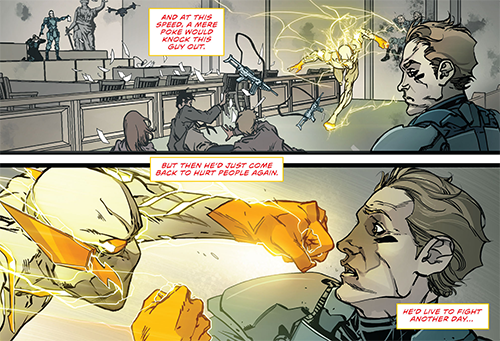 But first, Godspeed graces us with a little backstory explaining how he became the speedforce-sucking killer he is today. And surprisingly enough, it sounds like his dark path started off as an accident. According to August, he thought he was taking away power from those who didn’t want it in order to use it for a better purpose. And more importantly, he never intended to kill anyone. It’s a very interesting choice to have such a powerful and fearsome opponent be so morally complex. He probably has one of the most sympathetic backstories for a villain speedster, but perhaps it would have been better to know it was him all along and be able to see the transformation. 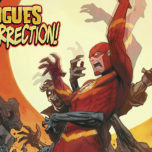 Barry admits he’s been distracted lately and didn’t notice – and while there were certainly hints of August’s struggle in previous issues, following his journey throughout could have led to a more poignant confrontation. Nevertheless, opening scenes like this one are where Carmine Di Giandomenico’s use of lines stands out the most. The fight between Flash and Godspeed truly feels like it’s in motion, capturing the intensity and the speed without being overwhelming. Ivan Plascencia’s colors are equally commendable here, and it’s easy to feel like part of the rich lightning storm evolving on the page thanks to his talent. While Barry is taking time to himself, Godspeed continues his narration and violent activity. But he remains an interesting and complicated character because he’s coming from the same place a lot of readers often do. 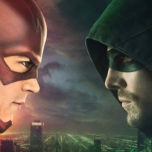 Why don’t heroes eliminate villains so they don’t hurt anyone else? Of course, ultimately the right answer is because no one can be judge, jury and executioner. It is not up to an individual who lives and who dies, and once the moral event horizon is crossed where will the atrocities end? But in the moment, August’s reasoning feels right, and that’s what makes him so dangerous. The Godspeed plot works very well this week, instilling an appropriate sense of dread about how Barry will be able to resolve this problem with one issue left in the arc. Unfortunately, the same cannot quite be said for the evolution of Wally into Kid Flash. It’s gratifying to see Flash welcome him in time for Teen Titans: Rebirth, which launched today. But despite how long it’s taken to develop, it felt rushed in this issue specifically. 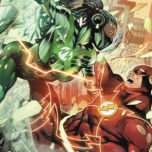 Wally’s connection to Meena is theoretically understandable, but the fact that they only trained together for a few pages in one issue made it seem a little forced in practice. And while Barry accepting Wally’s help is heartwarming, it’s also a little disconcerting how quickly he takes him on even as he rejects everyone else’s help. Even more disconcerting is how quickly he agrees to keep it a secret from Iris. Which leads to a bigger problem. Since the start of the New 52, Iris has been kept in the dark about Barry’s double life. That isn’t such a crime because in this universe she is only a friend and not his life partner, except that pre-Flashpoint Wally is back and remembers Iris and Barry’s marriage. Whether that happened to them and they don’t remember it or not, Barry knows that this is Iris’ nephew and thus an important part of her life. That Wally asked to keep his return a secret from her and Barry agreed, but the fact that they’re making decisions on behalf of Iris leaves a bad taste. Now Kid Flash is asking for Iris to be left in the dark too, and while his personal reasons may be pure, it’s not a trope that the story should be perpetuating today. Female love interests in superhero stories have been perpetually locked out of the loop under the guise of protection, and changing the motivation doesn’t make it any less of an outdated tactic. Not to mention that at the moment, Iris West isn’t even a love interest. She’s a parental figure who is going to worry about her child disappearing at random times whether she knows the reason why or not. Hopefully this will be an actual plot point in the comics, because Joshua Williamson has so far handled her relationship with Wally beautifully. It would be nice to see Barry and Wally learn that it’s better to trust her to handle herself than to treat her like she’s made of glass. Verdict: 3 out 5 stars. 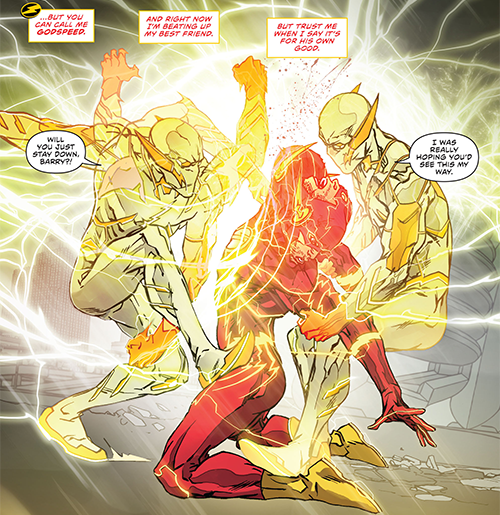 For an issue that was mostly set-up, The Flash #7 contained a good amount of both action and emotion. But a lot of the motivations for Godspeed and the build towards Wally’s partnership with the Flash could have been spread out more evenly in previous weeks, and it’s never fun for female readers to watch the most prominent woman in a series be constantly in the dark.